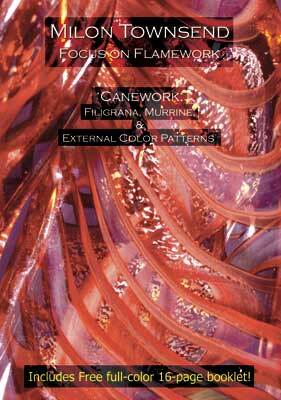 With this DVD you can develop the confidence and competence you need to create all kinds of canes and murrines. Simple patterns, internal twists, filigrana, star murrine and eye canes are all part of this action packed video. You'll see examples of the work of Loren Stump, Pati Walton, and other well known artists, and observe how they utilize murrines in their work. Contains a phenomenal lesson in making realistic eye canes that will make your animal sculptures come to life! The fourth title of the Focus on Flamework Series. Enjoy the free booklet, too!